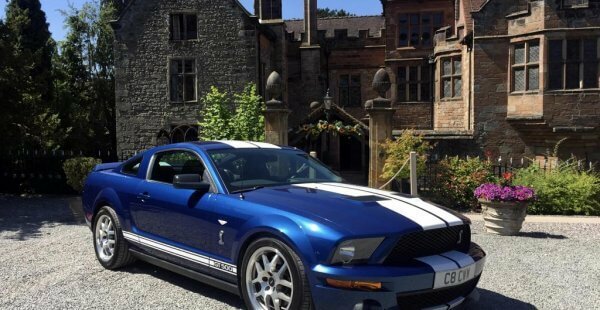 I’m the proud owner of a 2007 Shelby Mustang GT500 with a 5.4L Supercharged V8 producing around 520bhp with room for 3 passengers. 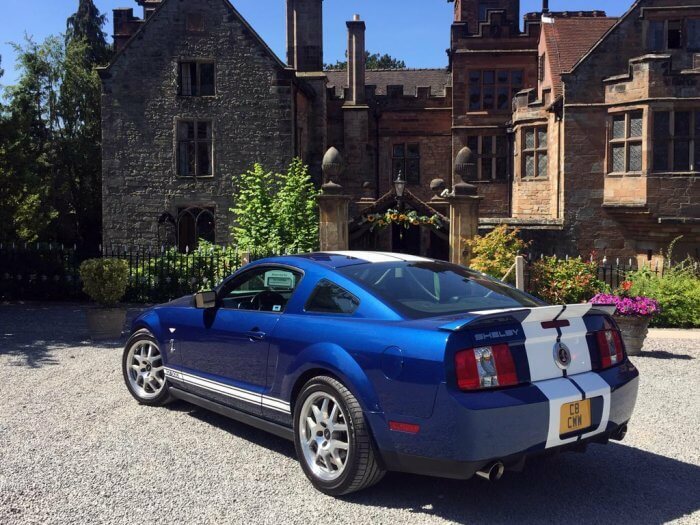 For as long as I can remember, like many of us, I have adored American Muscle cars. 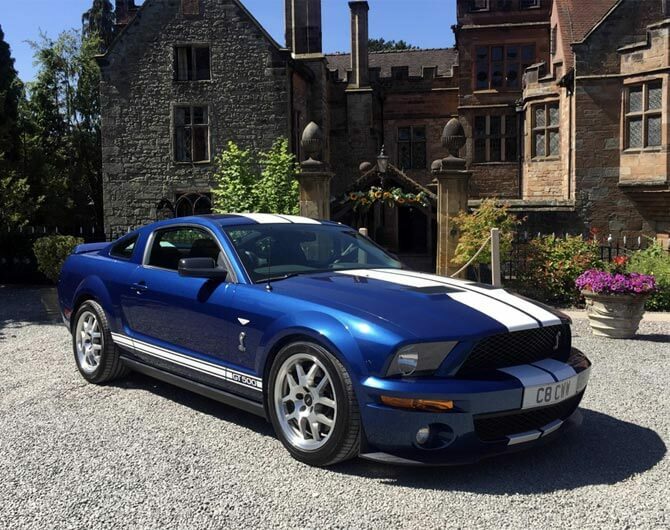 The iconic Ford Mustang always stood proudly head and shoulders above all others in my humble opinion and the only other muscle car that pushed the boundaries further still was the Shelby GT500. 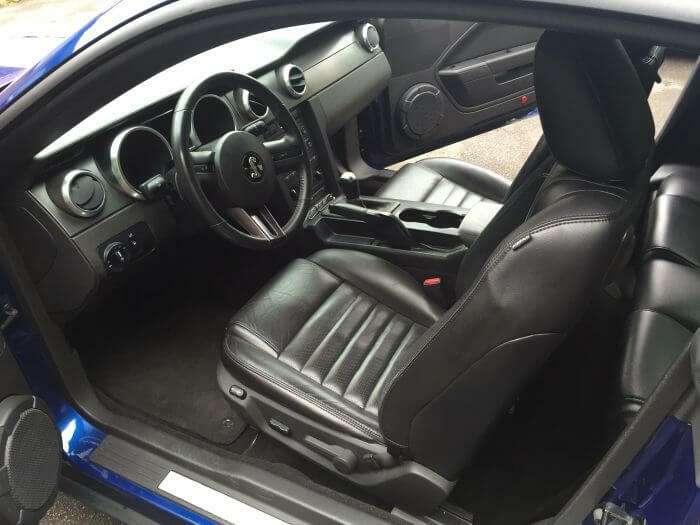 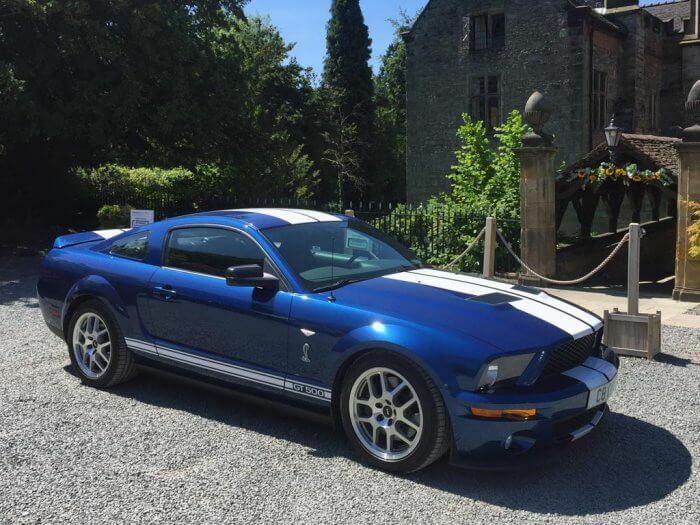 It’s rare to see an American Mustang these days and even rarer to see one of these and so, after much searching and a lot of very careful saving, I purchased my Shelby (fondly named Cate) back in 2011 and have never looked back since. 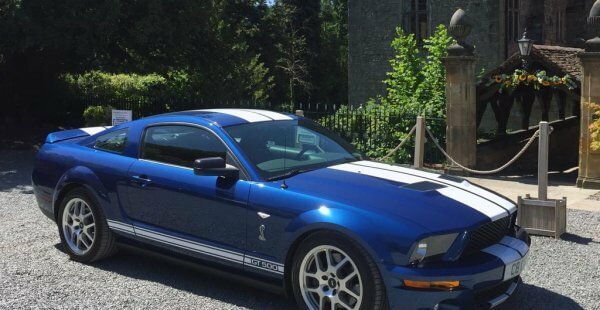 I’ve tried to keep her as original as possible and, other than a few cosmetic and performance upgrades, she is still regarded as one of the finest models to be produced under the late Carroll Shelby’s watchful eye. 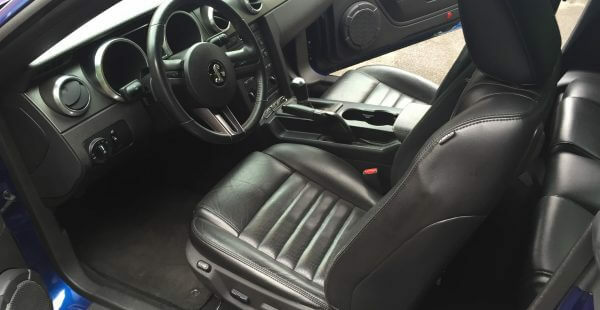 I have been told quite often by admirers and other Mustang owners that she is without doubt the last of the ‘muscle look’ variations and when you see and hear her for the first time you begin to appreciate why these models are so sought after by enthusiasts. 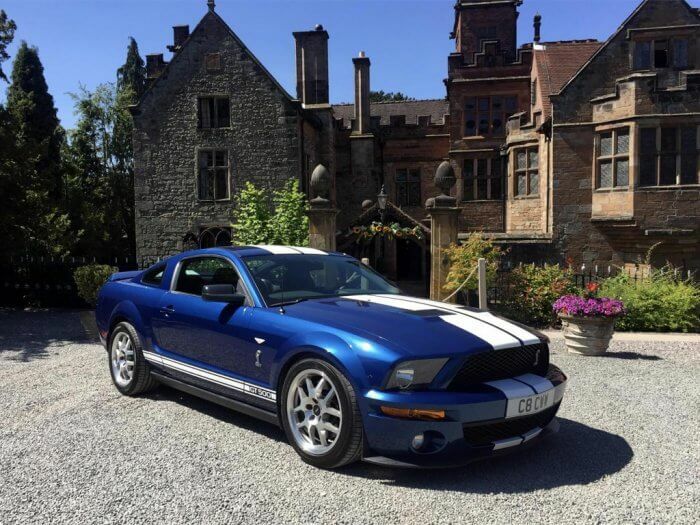 The power and presence of a Supercharged 5.4 litre V8 engine crafted by the world-famous and highly-respected Shelby SVT Division is a sight and sound to be remembered. 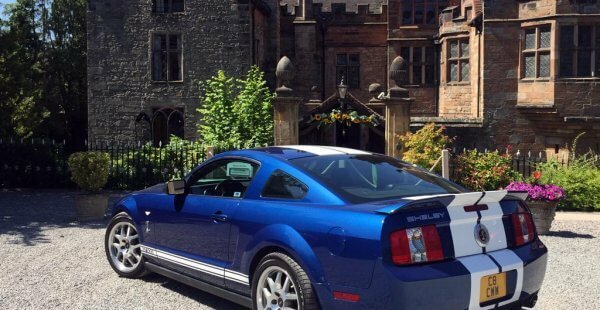 Over the years I have been able to take a number of Brides & Grooms to and from their beautiful venues in a highly professional and courteous manner and on many other occasions I have carried out these duties for proms and other celebratory events. 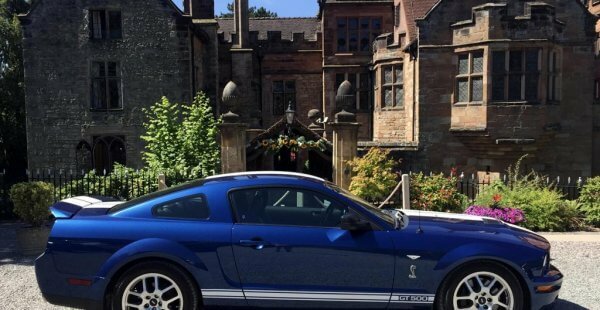 Each and every time it has been a genuine privilege, honour and pleasure to be part of such a special and memorable day in peoples lives which has bought much happiness for all involved. 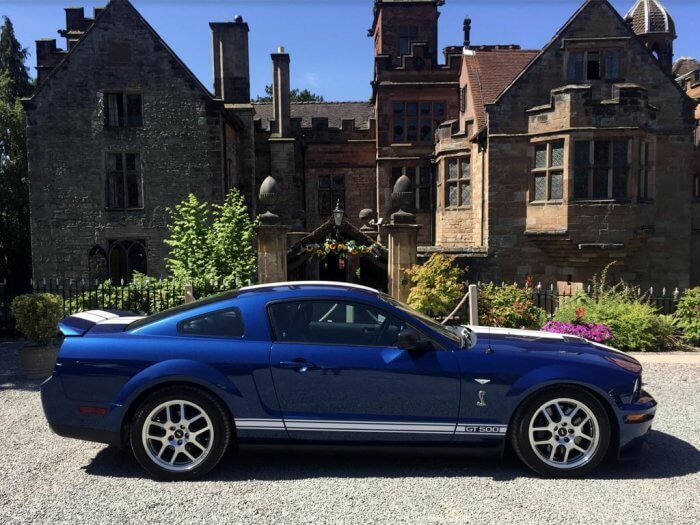 I can now offer the car and my services through the very prestigious Ford Mustang Wedding company to ensure your perfect day has a very special element included where you will be very well taken care of.